Kintyre trad band Rhuvaal will rock London at an exclusive Google UK HQ Burns Night gig. Rhuvaal drummer, Raymond Gosling, said it was ‘a no brainer’ for the five-piece band, formed in 2015, to accept the capital date. 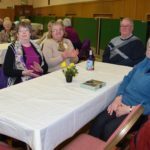 It involves a round trip of more than 1,000 miles, to play at the multi-billion pound search engine giant’s exclusive celebration of the Scottish national bard. 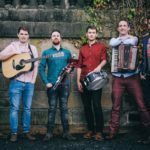 The band, heading off on the road, including its two latest additions is: Arran McAllister – lead vocals and acoustic guitar, Raymond Gosling – drums, Niall Gemmill – keyboard, fiddler Bronwen Davies and Kate MacPherson on the bagpipes and whistles. Gosling said: ‘This will be our first gig south of the border since we formed back in 2015. ‘We head to London next Thursday morning and will be performing in the Google headquarters for a Burns supper evening. ‘We were approached by a relation of one of our band members who put us in contact with Google’s event organiser for the performance. The band which mixes Scottish festivals with private gigs and smaller engagements in village halls will come back to earth next Saturday. 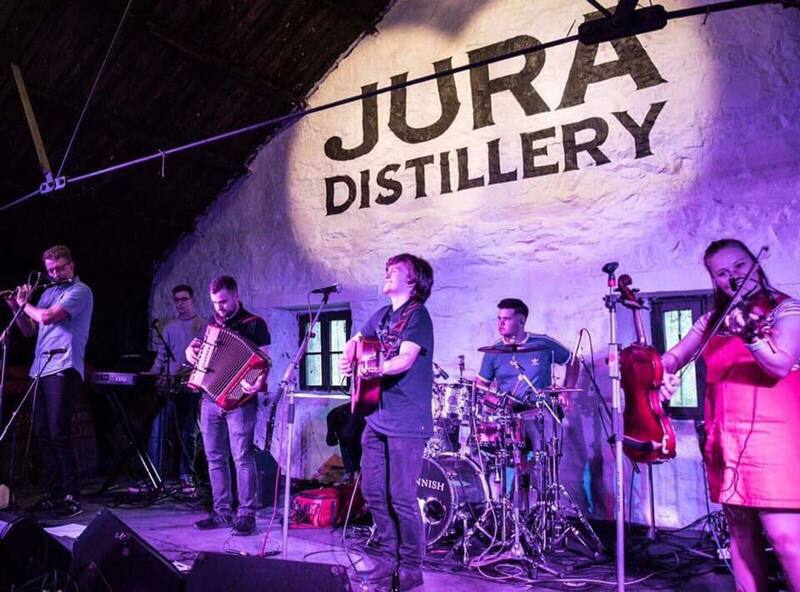 Rhuvaal has confirmed various festival across Scotland for 2019, including Carradale Music Festival on April 19 and 20, Gigha Music Festival, Eden Music Festival, Gig in the Goil, and MOKFest.